This year's WKC English National Championships were split over two days with the points and kata sections on the 5th February and the light contact on the 26th February. Despite heavy snow on the 5th February the BCKA were well represented and came away with a total of 16 medals - 7 bronze, 6 silver and 3 gold. 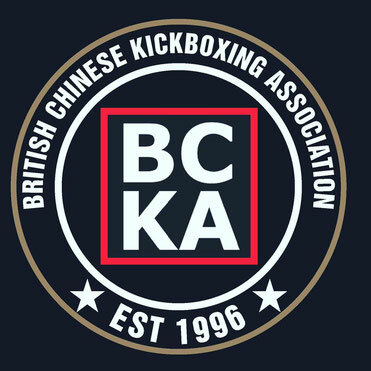 In the light contact contest on the 26th February the BCKA fought hard and won a further 17 medals - 9 bronze, 3 silver and 5 gold. Taking the total medal haul to 33 medals (with 23 BCKA fighters and competitors qualifiying for 2012's World Championships in Montreal, Canada) - 16 bronze, 9 silver and 8 gold. Well done to all the team, some top class performances and fights over both tournaments. If your result is incorrect or missing please contact info@bckakickboxing.com - thanks! It has updated some interesting facts on WKC English national championships 2012. Many topics they are issued to help every team. They are perfectly followed the resources of this blog. I guess when you have a lot of contests and less time for studying, your choice is to go at <a href="https://supremedissertations.com/writing-services/buy-thesis">supreme dissertations</a> buy a thesis. That would an easiest way to get a nice mark. Zune and iPod: Most men and women look at the Zune in the direction of the Contact, still soon after watching how slim and remarkably little and light-weight it is, I consider it towards be a alternatively distinctive hybrid that combines properties of both equally the Touch and the Nano. We have a proven reputation supplying the best customer support experience and supporting thousands of QuickBooks POS clients through our comprehensive support offerings. Sage 500 Pay-roll – you may quickly run your pay-roll the way you want it to run, it also instantly figure out out wages, chooses costs, reductions and net-to-gross computations. Now Tech support Number is not like any other technical support number where you get connected with a ghost, nope tech. these guys are on their toes! You get connected instantly with a real, live operator who is courteous and knowledgeable to boot! A killer combination don’t you think? A lot of usage position was occupied by a lot of duplicate e-mails, and these duplicate details will gradually Viewpoint down. In fact these factors also remains one of the top most reasons due to which it got successful in procuring a strong online presence as well as best Elance ratings. Single points of failure: The fundamental flaw of print servers is that printing hinges on them unconditionally. This wouldn't be such a glaring issue were Windows Print Server 2012 and its predecessors not prone to crashes caused by common driver conflicts. To bring printing back online, admins then have to waste time hunting down the rogue driver. Which is why organizations end up spending so much money on print server redundancy.